a few key things that are super important to their role and ultimately their career in the music business. 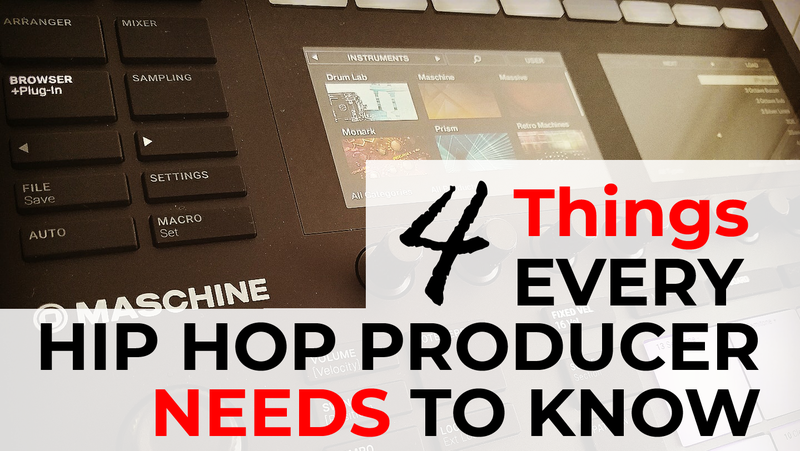 That being said, I'm gonna pass off a few things to you [my fellow producer] that I've learned that will hopefully help you out on your road to becoming the next Super Producer. Please note: This is in no way legal advise and is "simplified" to keep it short and sweet. Always double check anything you read on the internet. In a nutshell, US Copyright law works like this: You make something and put it in tangible form (eg: burn your music to a CD, flash drive, save the DAW session, etc) ~ you own the copyrights to it. That's all there is to it. The only way you don't hold your copyrights is if you sell them (like in a "work for hire") or give them away (which legally must be in writing). What that means: Lets say you sue someone for illegally using your stuff, you can possibly be awarded "statutory damages" of up to 150k if you win the case and can also have the other party pay your legal fees as well since your work was registered before the claim was made. Did you know: Under US copyright law, 2 or more individuals who work on a song [together] with the intent to combine their work into a song are considered joint authors of the new work that is created. What that means: If you and an artist make a song, both of you have equal rights to exploit (eg: make money from) the song you created. Because the song belongs to both of you. ASCAP, BMI, SESAC ~ What are they? What does that mean? "PRO" stands for "Performance Rights Organizations". What they do: Track and collect performance royalties ($$money$$) on behalf of (You!) Music Publishers, Composers and Songwriters and then pay it out to them (You!). What counts as a performance? Basically, anytime your music is performed in public. This includes but is not limited to: Radio play, Concerts, Clubs, TV and film, etc. Why should I register with a PRO? To get your money. DUH ~ lol. Nah but seriously, to put it simply, if you and an artist make a song, and it is "performed publicly" you are owed a mechanical royalty. Mechanical royalties come in many forms and denominations so sign up with a PRO and register your songs today! Tip: If your music gets placed in TV or film be sure and get a cue sheet. The cue sheet is what tells your PRO what music was placed and other details that will be used to calculate your earnings from that placement. What are split sheets? Split sheets are one of the most important things you can have when you work in music. They contain the song breakdown of who did what and who owns what. Why are they so important? Because they help determine what percentage of the song is owned by you. So if a song blows - you know exactly what percentage of the song's earnings you are entitled to. Many people have ended up in court battling it out over who owned what percentage of a song - so learn from their mistakes and get your split sheet together asap! Tip: Just google "Song writer split sheet" and you should be able to find a basic template that you can customize for the next time you and an artist are working on songs in the studio. They don't have to say much, just personal info, publishing company, song percentage split, date, location and signature. Did you know: Unless a written agreement says otherwise, songs are generally split 50% lyrics / 50% melody (Music). Basically, each song made has a 100% writers share which (in Hip Hop) is typically split 50% (lyrics) and 50% (music / melody). So, technically if you "made the beat" (eg: melody / music) you are considered a songwriter and own 50% of the song copyright because you "wrote" the music / melody. Tip: Additionally, if you contribute to any portion of the lyrical part (eg: write the hook, verses) you may want to negotiate your percentage of the songwriter share in that song (eg:60/40) to reflect your contribution. Did you know: Being a songwriter is one of the biggest income generators of revenue in the music industry. And unfortunately if all you care about is your "Producer credits" you could be missing out on some serious cash. I hope you found this post informative and hopefully you will take the time to get ya mind right and learn about the music business so that you can have a long lasting career in it.